Way back in 2011, Spawn creator Todd McFarlane revealed he is writing the script for a new reboot of the cult classic movie, but we haven't heard much about it in the years that followed. Back in 2013, Todd McFarlane teased that this new Spawn movie may start production sometime in 2014, but that never happened. In a new interview with ComicBook.com, Todd McFarlane offered a new update, revealing the script is finally complete, and he hopes to get production started later this year. "I've finished the script, and I'm in the process of editing. It's 183 pages, and [producers] usually like 120. I still think it's going to end up being about 140, because I'm putting in details for myself. (It's) a director's script." (I want to get it to) a spot where I can walk this into Hollywood and start hooking the actors." Todd McFarlane also revealed that he wants to direct the movie himself, and he's trying to keep the budget low so a studio will let him direct it. 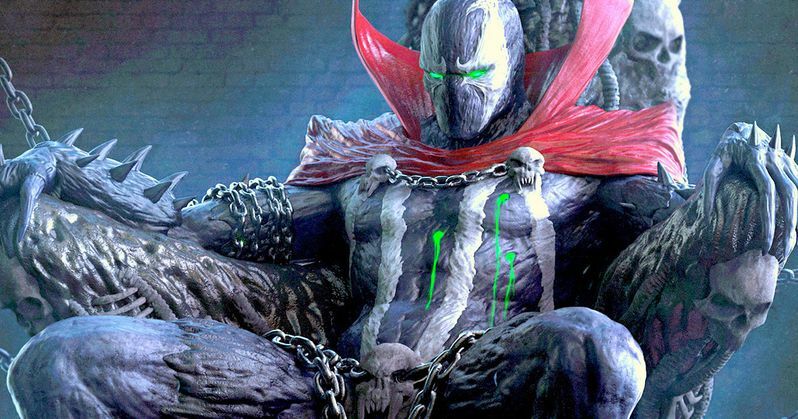 If he does take the helm, the Untitled Spawn Reboot would mark his directorial debut. The original movie, which debuted in 1997, based on Todd McFarlane's beloved comic book series, followed Al Simmons (Michael Jai White), who makes a pact with the devil to be resurrected to see his beloved wife Wanda (Theresa Randle), after being murdered by corrupt colleagues in a covert government agency. In exchange for his return to Earth, Simmons agrees to lead Hell's Army in the destruction of mankind. As he begins to discover and exercise the extraordinary new strengths provided by his new malevolent master, he is approached by two mysterious figures. Cogliostro (Nicol Williamson) encourages Spawn to fight the devil and reign as a true champion for humankind, while Clown (John Leguizamo) prods Spawn to lead the Armageddon. The original movie earned $87 million worldwide from a $40 million production budget, and it became a cult classic after its release on home video platforms. While he wouldn't offer too many specifics about the reboot's story, Todd McFarlane did hint that it will be much different than its predecessor. Here's what he had to say about his story, revealing that it will be more of a horror movie than a superhero movie. "I'd put it more into horror/suspense/supernatural genre. If you take the movie The Departed meets Paranormal Activity, something like that. In the background, there's this thing moving around, this boogeyman. That boogeyman just happens to be something that you and I, intellectually, know is Spawn. Will he look like he did in the first movie? No. Will he have a supervillain he fights? No. He's going to be the spectre, the ghost." He also teased that there is a new Spawn action figure in the works, which he hopes will generate new interest in the character, leading into the film's production. If filming on the Untitled Spawn Reboot does take place this year, it's possible it could be in theaters in 2017, which marks the 20th Anniversary of the original Spawn movie. Who would you like to see play this iconic character on the big screen?